Getting a wheelchair could be quite possibly one of the most costly purchases you ever have to make. In addition, if your health coverage insurance haven't provided you with a sufficient amount of money, or you haven't got ample personal savings, it can be challenging obtaining the funds to purchase a modern electric powered wheelchair with all the bells and whistles. So what options do you have left? GIf you don’t have the fund to buy outright, renting a wheelchair is another less cash demanding option. GIf you are not sure how long you will be needing the wheelchair, this option might be good for you. An example is someone who might have been in an accident who needs a wheelchair but who doesn’t know how long they’ll be needing it for. It could be months or years. 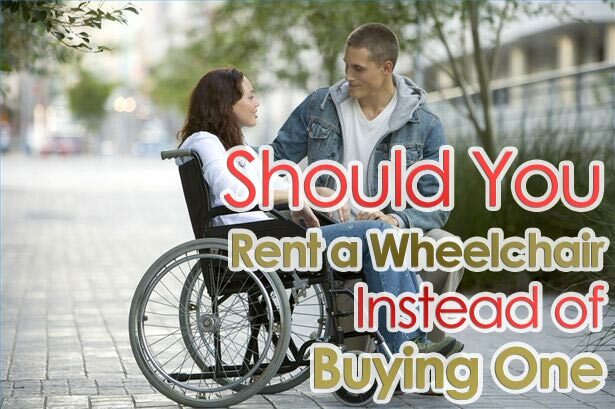 GBe sure you consult with your doctor to find out which type of wheelchair you will need before renting one. Are you in a position to move about for short periods and still have good upper body strength then a manual wheelchair might be good for you. GOn the other hand, you might actually have to start out with an electric wheelchair and then progress to a manual wheelchair. Whatever option you have to go with your doctor or physical therapist will be able to help you with the final decision. GWhat if you are planning to go on a long trip or on vacation? You probably don’t what to have to lug around your wheelchair with you. This is where renting a wheelchair might prove to be a good option. GYou will probably find it much easier to rent a wheelchair, and have it available waiting on you when you show up at your travel destination. This is often a cost-effective and hassle-free way of maintaining your ability to move independently, without the additional inconvenience of taking your huge electric powered wheelchair along with you. GTo sum up, renting a wheelchair may be a really good method of saving your hard earned money, yet still getting a good quality wheelchair for the duration of your entire treatment. A lot of people decide that this is often the most suitable option for them, but it's usually wise to seek the advice from your medical doctor in the beginning.